The second was standing desks. Clunky, expensive and not something to be smug about. 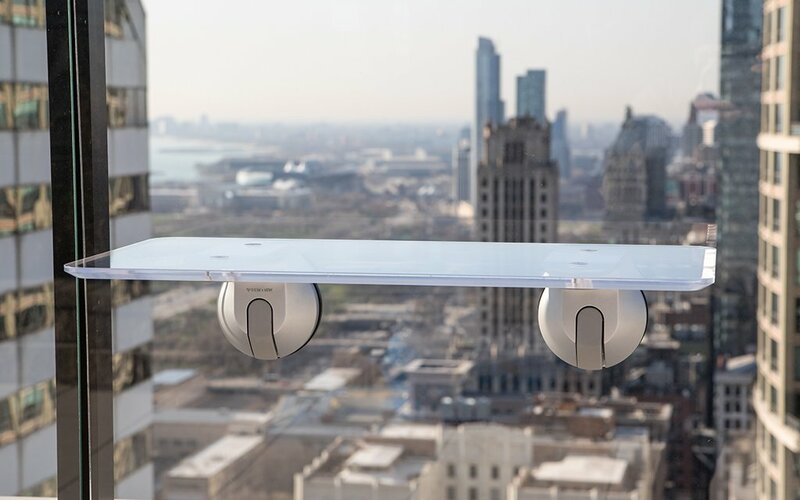 But then we tested out DeskView, a minimalist, lightweight, portable shelf (available for preorder starting today) that attaches to almost anything in five seconds and costs less than a Benjamin Franklin. It’s going to reimagine how and where you work. Truly. 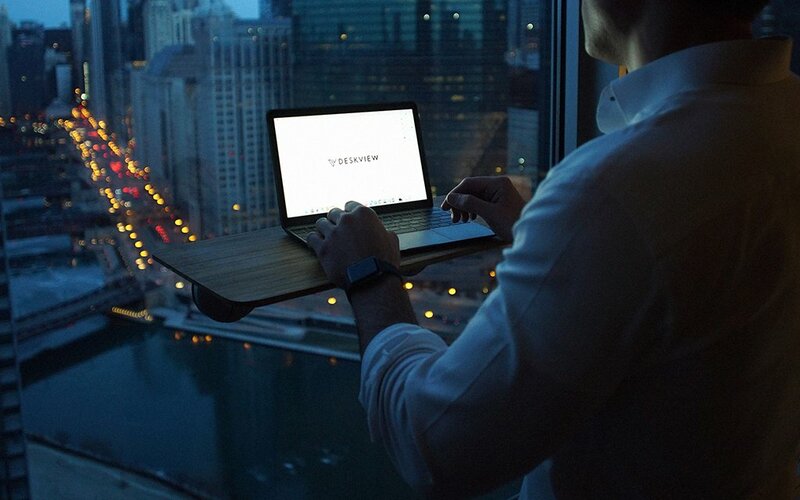 Basically, DeskView is a 15”x25” surface (gloss white, clear or bamboo) that acts as a window-mounted, adjustable standing desk. This is how long it took to set up: the two founders walked into our office, said “simple as it goes,” and five seconds later, we had a shelf mounted on our office window that could hold up to 70 pounds (they’ve done tests with people are standing on ‘em … they held, but maybe don’t try it?). Use it to stand and type. As an extra shelf. As a place to rest your elbows as you gaze outside and make passersby uncomfortable. 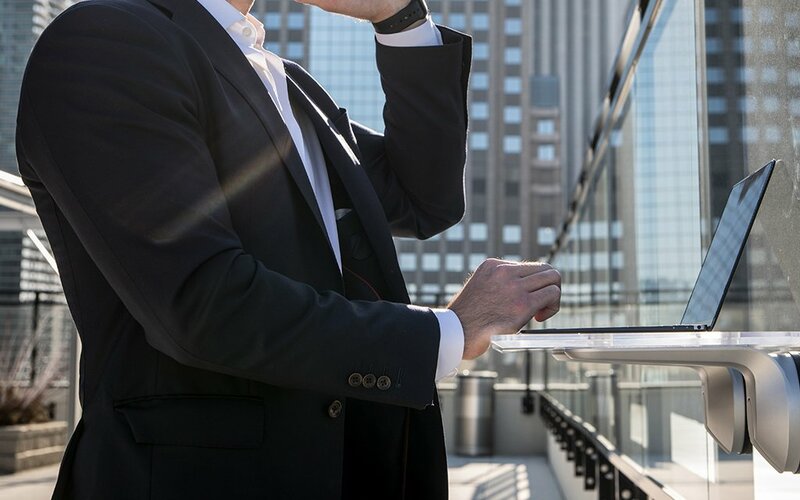 DeskView arrives fully assembled, attaches to any non-porous surface and uses the exact same suction tech that construction sites use to install windows on high-rises. And it’s only nine pounds — you can throw it in a small suitcase, if you so desire. And it’s just as easy to take down as it is to put up, which is great when you don’t feel like standing. 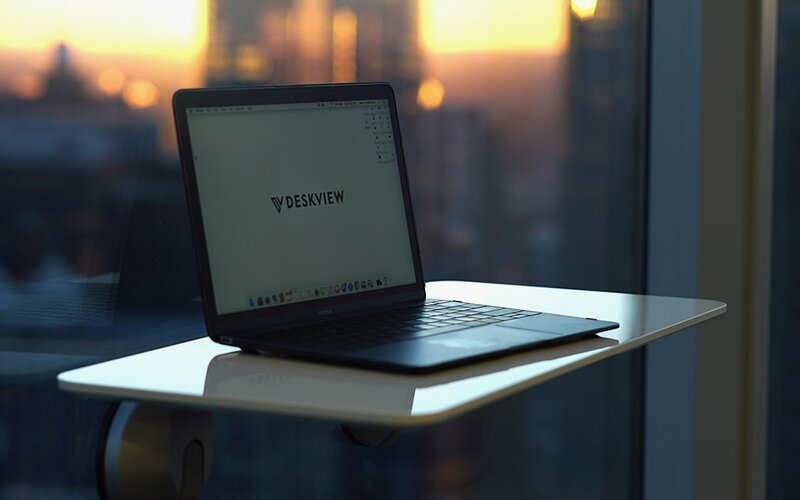 DeskView is available today starting today on Kickstarter for $99 (normally $199).